Oscar Wilde’s fairy tale, The Birthday of the Infanta interweaves two ancient myths whose variants are found in many different cultures. The first – the Fall from Paradise – is undoubtedly best known to those of us in Europe from the Old Testament tale of Adam and Eve, though it also appears in a great deal of modern fiction. The second tells of the destruction of either a kind-hearted person or a loving couple by a cruel and uncompassionate world. The most famous modern rendering of this genre of tale would be Shakespeare’s Romeo and Juliet. The high-spirited Dwarf soon becomes fascinated by the young Princess. “He could not keep his eyes off her and seemed to dance for her alone,” Wilde tells the reader. And so, when she tosses the tiny young man a white rose that she has been wearing in her hair, he falls in love with her. Hoping to meet her and express his tender feelings – and eager to bring her back with him to his idyllic forest – he steals into the palace. After crossing through various rooms (spiritual gates! ), the Dwarf happens upon a small and hideous monster who copies all of his gestures and expressions. Who could this repulsive little man be? As the reader soon comes to understand, he is none other than the Dwarf himself, for he has chanced upon a huge mirror! In consequence, the innocent-hearted young man becomes aware of his misshapen body and ugly appearance for the first time. He is crushed by this sudden understanding and falls from Paradise. Exactly where does the Dwarf find himself now that he has been exiled from Paradise? Wilde makes it clear in various places in his story that much of the cruelty of Spain has been generated by the Inquisition, which started persecuting, torturing and burning converted Jews and Moors – as well as foreigners of different nationalities – in 1478. In Wilde’s narrative, the Holy Office reins behind the scenes with terror, and he makes references to Gypsies recently hanged for sorcery and an “auto-da-fé in which three hundred heretics, amongst whom were many Englishman, [have] been burned.” While recounting the Dwarf’s Fall, Wilde also mentions that the Inquisition has recently been established in Mexico. It seems his subtle way of informing the reader that there will be no mercy for loving misfits like the Dwarf – or Englishmen, converted Jews and Moors – anywhere in the Spanish Empire. In this perverse world, the King himself has become mired in a grotesque form of grief following the death of his Queen, whom he suspects to have been poisoned by his brother. He exhumes and embalms his wife’s body, and covers her face with kisses in the hopes of reviving her. This element of the tale is, of course, reminiscent of the story of Inês de Castro. Wilde’s fictionalized Spain is also dominated by a rigid class structure. The Princess herself is “only allowed to play with children of her own rank.” The purpose of those of lesser rank seems largely to keep her and the rest of the nobility entertained. And so, when the Dwarf tumbles out of Paradise, he isn’t met with understanding and encouragement by those who come upon his prostrate body. Instead, they treat him with derision and physical violence. His insult and his orders fail to rouse the Dwarf, so he suggests that a “whipping master” be sent for. It is then that the Chamberlain discovers that the Dwarf has died of a broken heart. The Princess is given the last word in the story: “For the future let those who come to play with me have no hearts,” she cries. And so, in the future, only those beings devoid of feelings – of love, exuberance and compassion – will be fit to inhabit Spain and keep it aristocracy entertained. In writing this story, did Wilde predict his own fall from grace? Only four years after the publication of The Birthday of the Infanta, he initiated a lawsuit for criminal libel against his lover’s aristocratic father, who had accused him of being a sodomite. 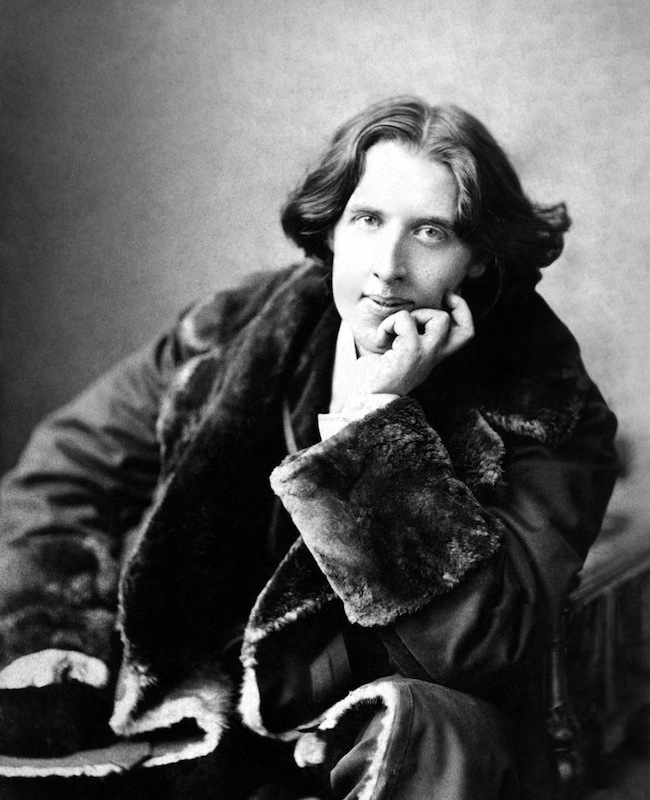 Wilde lost the legal action, and in a second trial, he was convicted of gross indecency. Soon afterward, he was sent to prison, disgraced and broken by a hostile world that refused to understand and sympathize with the workings of his heart.